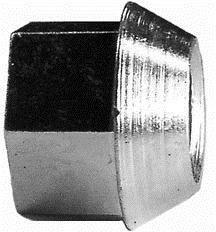 Demountable rim bolt NUT. 4 per wheel, 16 per car. These special nuts have tapered shoulder where they press against the rim lug. What is the thread size of these nuts? 5 out of 10 found this answer useful.